February 26, 2018	Eddie Villanueva Jr. In the last decade or so, science fiction has actually become less of solely blood and aliens, and has risen to the ranks of artistic and beautiful…with blood and aliens. Films such 2009’s District 9, 2014’s Edge of Tomorrow and of course 2016’s Arrival. These films have transcended the norm of what most sci-fi genre films are made of, and have become the epitome of what we’ve all wanted to see from the genre for so long. In the time that followed, many other films have debuted, and made quite an impact in cinema. Now, 2018’s entry is here, and it is promising fans a story like no other, in Alex Garland’s Annihilation. Directed by the man behind such sci-fi films as 2014’s Ex Machina and 2007’s Sunshine, Garland creates a visually stunning yet puzzling film. 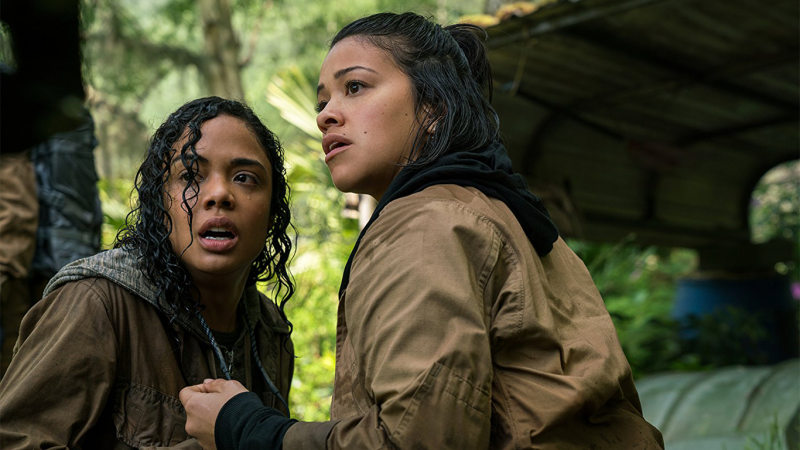 Annihilation stars Natalie Portman, Jennifer Jason Leigh, Gina Rodriguez, Tessa Thompson, Tuva Novotny, and Oscar Isaac, and follows a group of military scientists who enter “The Shimmer,” a mysterious quarantined zone that is full of mutating landscapes and creatures. Annihilation, as previously mentioned, is visually stunning, yet holds a cryptic trance over the audience throughout the entirety of the plot. On one hand, the film’s ability to capture the beauty that was originally described by author Jeff VanderMeer in the original novel surpasses all expectations, but the film creates a maze of a story that gives the audience just enough of a trail to stay in the chase of the plot. And honestly, that’s what great storytelling does! Annihilation weaves a tale that creates tension out of beauty, fear out of science, and dread out of tranquility. The performances in the film are really well done! 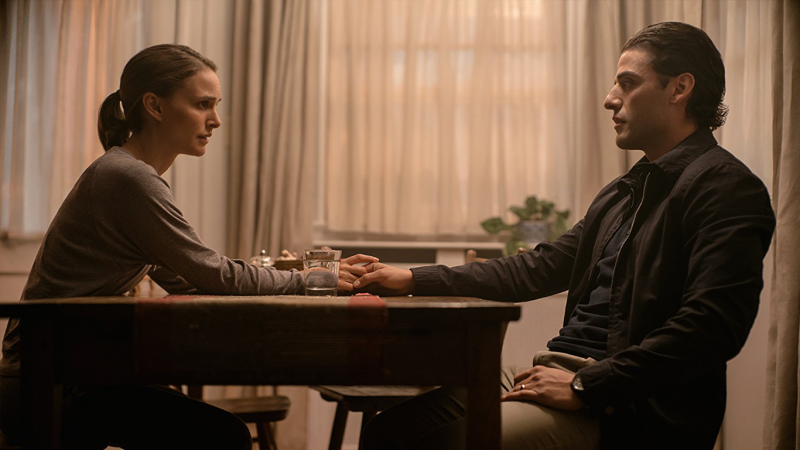 Natalie Portman brings a troubled soul to this role, showcasing her ability to portray brokenness yet determination. Portman has truly tapped into an emotional range that is displayed throughout this film. The film’s experience only heightens with the chemistry of the rest of the cast. Tessa Thompson is such a treasure in this film, seeing her transform from a bonafide badass in last year’s Thor: Ragnarok in to an innocent biologist in this film. Her role, coupled with the sensational performance by Gina Rodriguez – who seriously was so incredible! – made for incredible rapport that just will blow fans away. Gina absolutely stole the show, for me, whereas much like Tessa, Gina has always been typecast as an innocent young Latina. This film totally broke that mold, and gave Gina a platform to truly shine! The film did have some flaws, however. The film’s runtime pushed almost two hours, which for how the film closes out the story, feels like the film could’ve achieved the same efforts in shorter time. I really enjoyed the film, but for a broader audience, this piece of information can be a real deal-breaker for some. Another concern I have for the film is how confusing the ending can be for some. Annihilation does dive deep into some larger conversation through its unique subtext, but I feel a lot of the elements that make up that argument could get lost and confusing for certain audiences. All in all, the film exceeded my personal expectations of what I gathered from the trailer. Annihilation takes the movie genre of science fiction and beautifully interlaces it with a splendid array of color and creation. Alex Garland crafts a tense yet artistic tale from the source material that leaves audiences at the edge of their seat not only in fear, but also in utter awe. 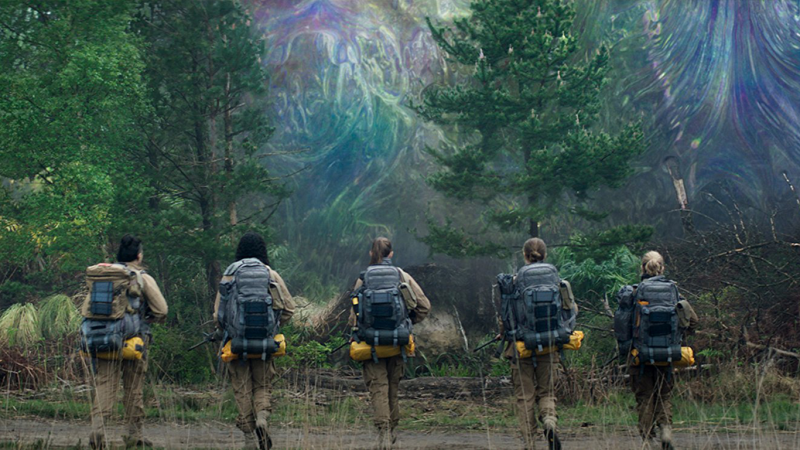 Annihilation truly revels in the understanding that science fiction is more than just an age old genre, but – much like the genre itself – is ever evolving and changing, becoming not only a mirror of today, but a glimpse of tomorrow. 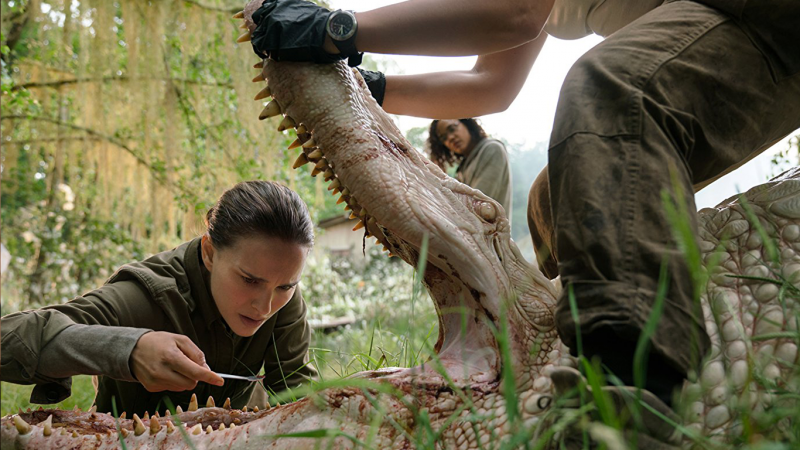 Annihilation is a testament to the promise that filmmaking isn’t just for the dramatics and action-oriented; science fiction is an art form, and one that isn’t going away anytime soon.